The Baitrunner X Aero FA is one of the most advanced small reels available and combines the benefits and convenience of a traditional Mini Baitrunner reel, with additional casting performance delivered by the new Aero Concept spool design which is larger than previous spools. 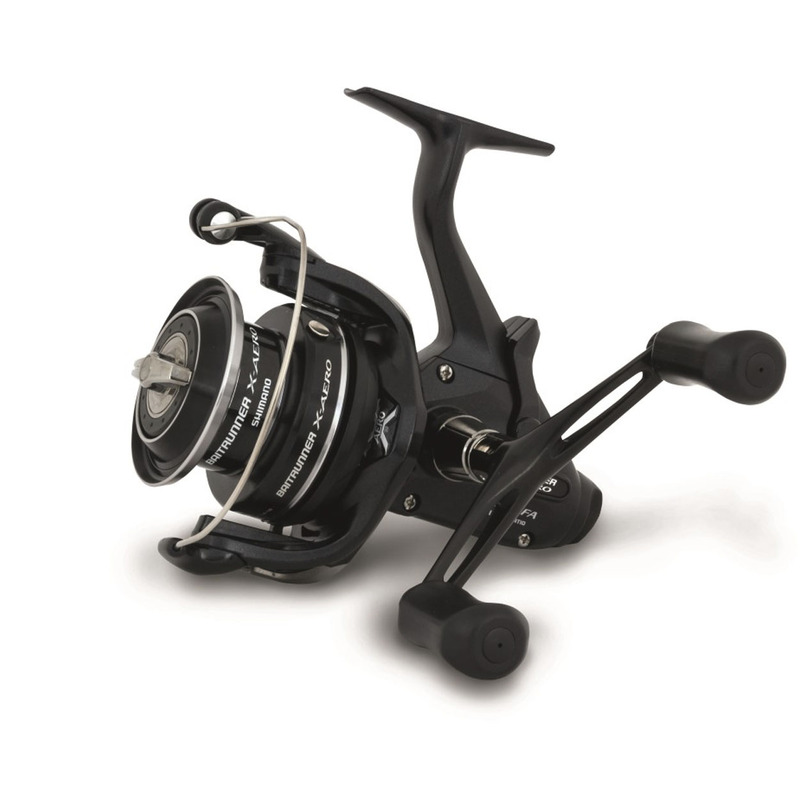 Available in both 2500 and 4000 sizes, the Baitrunner X Aero FA makes a superb feeder reel when fishing for small and medium carp, alternatively it can also be used for many specialist situations and even as a small predator reel where the freespool facility really comes into its own. The larger Aero Concept spool not only improves casting performance it also improves the drag function as the larger diameter spool requires less pressure to work effectively. The result is a low inertia start and increased fish-playing smoothness. This top-of-the-range Mini Baitrunner features Shimano's best Shielded A-RB bearings for increased smoothness and efficient power transfer from the double handle to the rotor making playing of powerful fish easier, even when using the smallest 2500 size. Following on from the huge success of the Mini Baitrunner Series over the last few years, the new Baitrunner X Aero FA sets new standards in compact freespool reel design.